Like me, you’ve probably ridden The Great Movie Ride at Disney’s Hollywood Studios dozens of times. Sure, the ride seems a bit dated these days, but there are some sections that remain truly timeless. 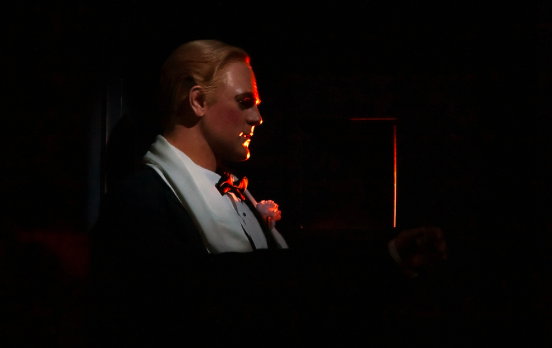 In particular the gangster scene, while it may feature a lifelike audio animatronic of James Cagney, the action sequence isn’t representative of a particular film as much as it is paying tribute to the genre. 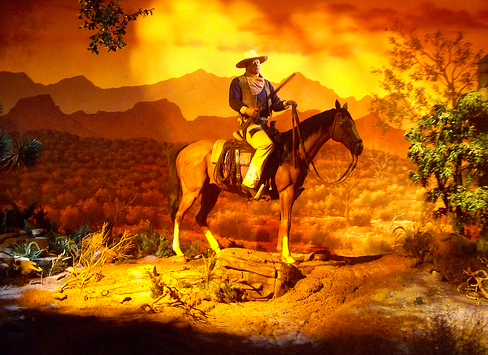 The same can be said for Great Movie Ride‘s western scene, where Disney pays tribute to two of Hollywood’s legendary stars: Clint Eastwood and John Wayne. Keep in mind that Eastwood and Wayne never appeared in a film together. However, there is a small tribute to an actor that The Duke did share the screen with right across from his animatronic likeness. In 1962, Paramount Pictures released “The Man Who Shot Liberty Valance,” a western starring John Wayne and Jimmy Stewart when they were both at the height of their careers. Considering they were both stars of equal celebrity caliber, they both shared top billing in a unique way. If you saw any posters of the film, Stewart’s name would appear first. 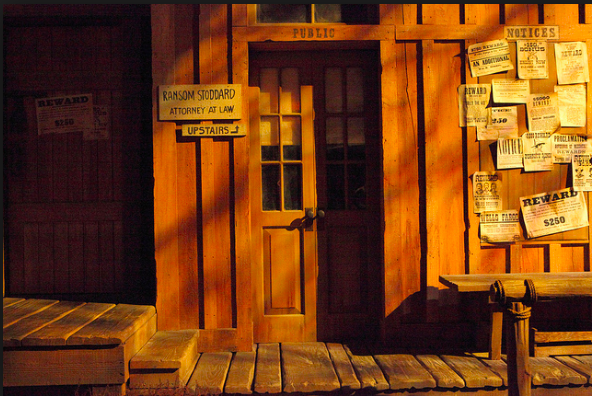 However, if you watch “The Man Who Shot Liberty Valance,” it was Wayne’s name that appeared before Stewart’s. 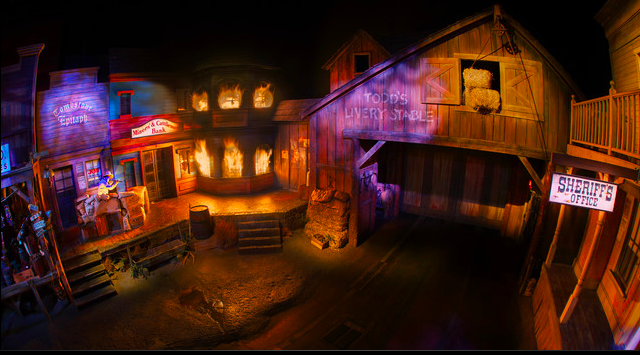 In The Great Movie Ride’s western scene, you can find a sign that reads “Ransom Stoddard: Attorney At Law (Upstairs).” So next time you’re at Disney’s Hollywood Studios, and you want to impress your friends with facts that aren’t hidden Mickey’s, tell them about this clever tribute to Jimmy Stewart right before the bank gets blown to smithereens. This entry was posted in Disney, Easter Eggs and tagged disney trivia, easter eggs, Great Movie Ride, Jimmy Stewart, Ransom Stoddard, the man who shot liberty vance, theme park trivia. Bookmark the permalink. Trackbacks are closed, but you can post a comment. I love the nod to Jimmy Stewart and all the small touches in The Great Movie Ride. 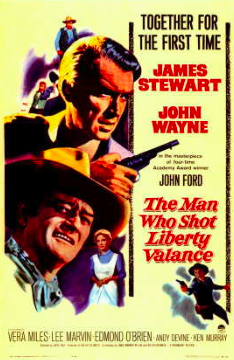 As a big fan of the film, I should point out that the correct title is “The Man Who Shot Liberty Valance”. Thanks! I think my spell check changed it… either way… correction has been made. My apologies!